The Galaxy Tab Pro 8.4 is slightly better than the Samsung GALAXY Note 10.1 (2014 Edition), having a 7.84 score against 7.84. Even when Galaxy Tab Pro 8.4 and the Samsung GALAXY Note 10.1 (2014 Edition) were released with only 4 months difference, Galaxy Tab Pro 8.4 is a little thinner and much lighter. These tablets use the same Android 4.4.2 OS (operating system). Samsung GALAXY Note 10.1 (2014 Edition)'s processing unit is just as good as Samsung Galaxy Tab Pro 8.4's processing unit, although the Samsung GALAXY Note 10.1 (2014 Edition) also has 1 GB more RAM, a better graphics processor running at 600 megahertz and a greater number of cores (but slower). 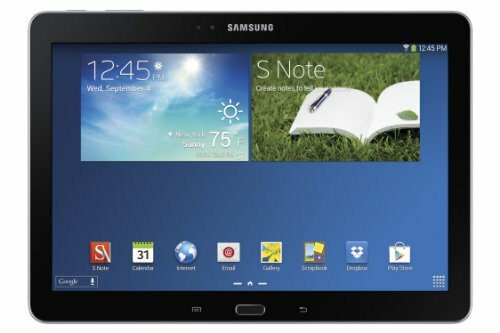 The Samsung Galaxy Tab Pro 8.4 counts with a little sharper display than Samsung GALAXY Note 10.1 (2014 Edition), because although it has a little smaller screen, and they both have exactly the same 2560 x 1600px resolution, the Samsung Galaxy Tab Pro 8.4 also counts with a little higher screen pixel density. The Galaxy Tab Pro 8.4 captures much better photos and videos than Samsung GALAXY Note 10.1 (2014 Edition). Both have the same video frame rate, a back-facing camera with an 8 MP and the same 1920x1080 (Full HD) video resolution. The GALAXY Note 10.1 (2014 Edition)'s storage capacity for applications and games is just as good as Galaxy Tab Pro 8.4's one, they have equal 16 GB internal storage and a slot for SD memory cards that admits up to 64 GB. The GALAXY Note 10.1 (2014 Edition) counts with a very superior battery performance than Galaxy Tab Pro 8.4, because it has an 8220mAh battery capacity instead of 4800mAh. Although Samsung Galaxy Tab Pro 8.4 is a better device, it is a lot more expensive than the Samsung GALAXY Note 10.1 (2014 Edition), and it doesn't have such a good relation between it's price and quality as Samsung GALAXY Note 10.1 (2014 Edition). 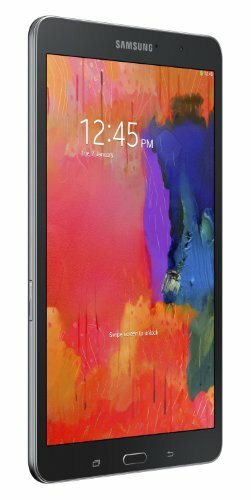 If you prefer to save a few dollars, you can buy the Samsung GALAXY Note 10.1 (2014 Edition), letting go a few features and specifications, but you will get the most out of your savings.